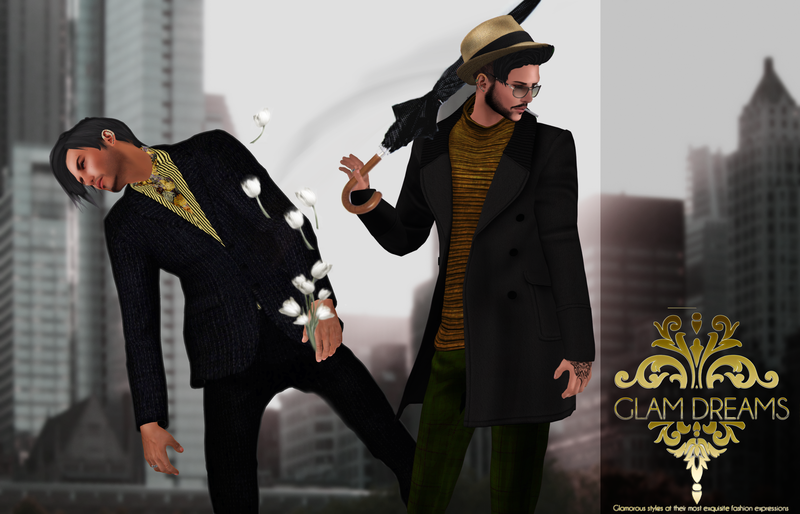 Glam Dreams will be releasing two new gorgeous outfits starting on monday, 21st september. Left: Balmaina Men’s Multi Pinestripes suit coming with a elegant mesh jacket with shirt, and mesh dark pants as well. Right: Balmaina Men’s Coat version, coming with a mesh gray/gold long jacket and mesh green plaid pants. Both outfits are 2 pieces made, each of them coming with different sizes allowing you to fit them at your best.